As fossil fuel prices skyrocket, building energy consumption has become a growing concern for all property owners. Today the concept of sustainability has replaced the former concept of energy conservation - the desire to keep buildings energy efficient allows businesses to survive in these trying economic times, and makes owning a home more affordable to everyone. 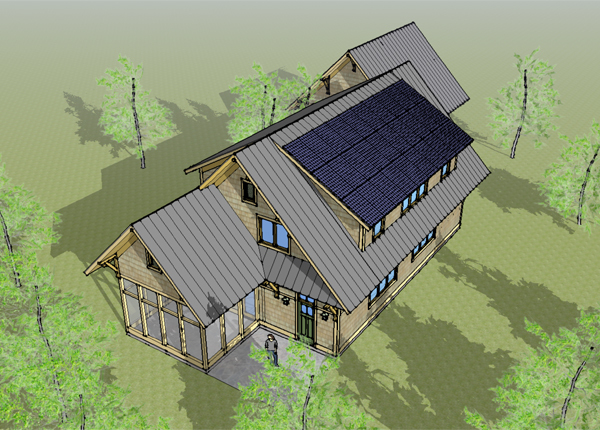 Zero Net Energy Housing - This is a home that generates as much on-site renewable energy as it consumes in one year. 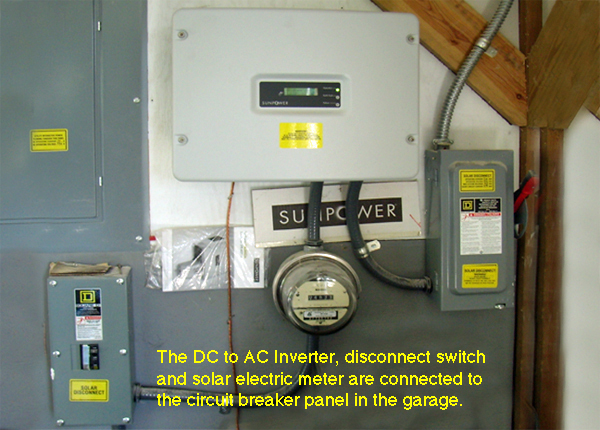 Using grid-tied photovoltaic (PV) panels that generate electrical energy from the sun, wind or micro hydro turbines they generate power from alternative means - feeding surplus energy back into the electrical grid when available, and drawing power from the grid during evening hours and calm days when no renewable energy is available on site. 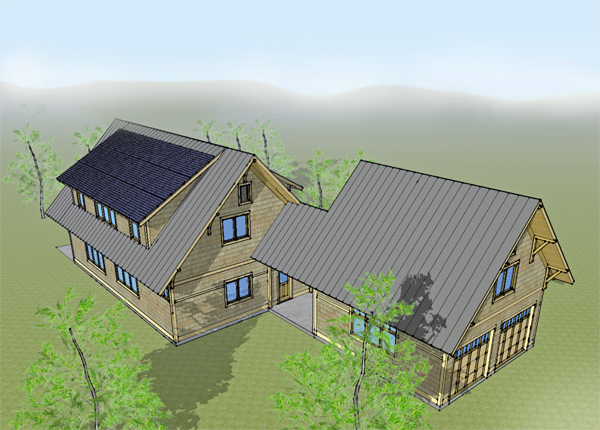 The houses are super-insulated to minimize energy losses, and utilize passive solar techniques to maximize direct solar gain for space heating through proper building orientation and optimum distrubution of south-facing glazing. 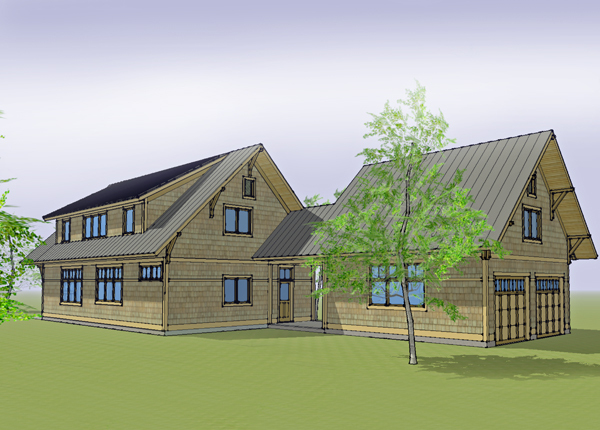 Carefully designed roof overhangs shade the south facing glass during the summer to minimize cooling loads. 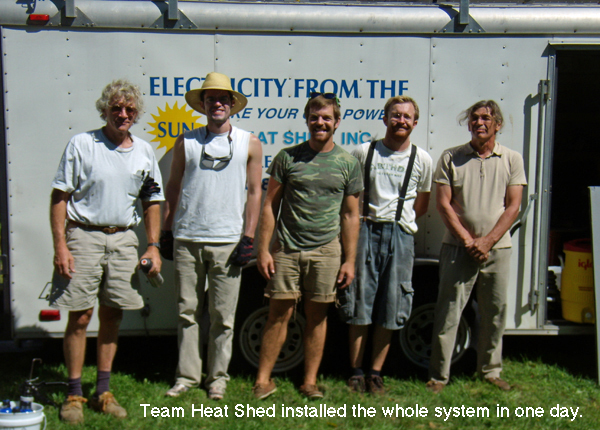 In December of 2012 we completed a 10-week online course "Zero Net Energy Homes" Building Energy 13 Master Series with Marc Rosenbaum, PE as the instructuctor. We covered such building science topics as: Heat Transfer, Heat Loss Calculation, Vapor Diffusion, Air Barriers, and Thermal Bridges. Wall and roof construction strategies and high-R value windows necessary to achieve high performance building envelopes were discussed in detail. State-of-the -art heat recovery ventilation (HRV), heat pump domestic hot water heaters, air-to-air mini-split heat pumps, solar thermal, and photo-voltaic products were reviewed. 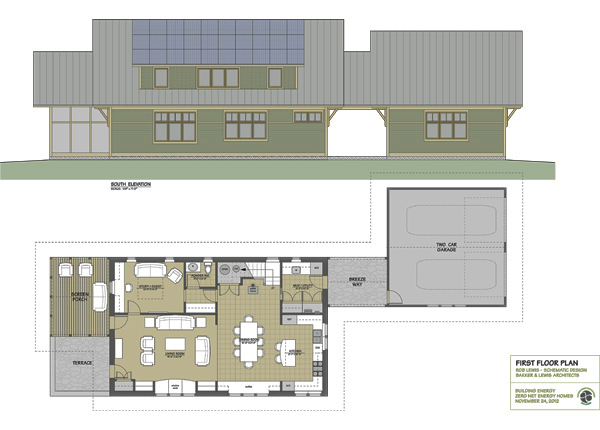 And finally, we learned how to perform energy modeling for a final design project that aimed at reaching the goal of a net zero energy home. 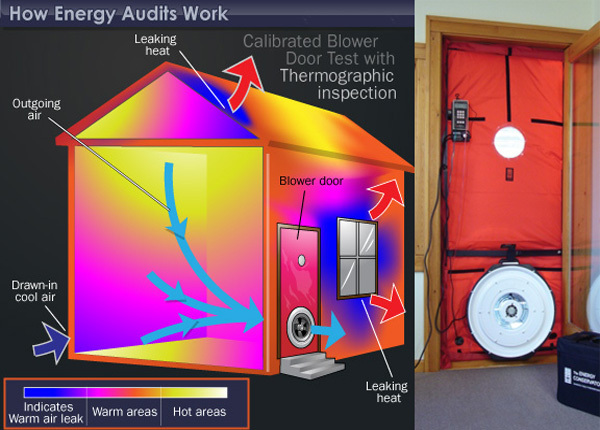 The images above show our design for a 2,300 square foot two story home with R-44 double stud exterior walls, R-75 blown-in cellulose attic insulation, carefully air-sealed to keep infiltration measured by a blower door test to 0.05 CFM50 per square foot of building shell. Space heating is provided by a single 18,000 BTU electric mini-split heat pump that can meet the heating load down to -5˚F. 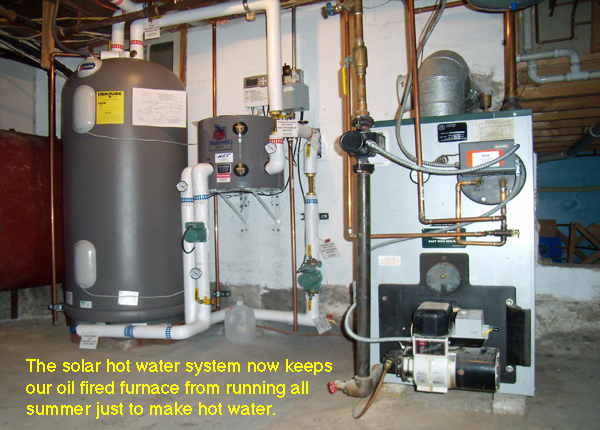 Domestic hot water is provided by an electric heat pump water heater with a COP of 2.5. And finally, to meet the zero net energy target for the year, all the domestic electrical needs of the home plus charging a plug-in hybrid-electric vehicle, there is a 9.8 kW photovoltaic array on the roof of the south facing shed dormer. In the event of a power outage, backup heat may be provided by a sealed-combustion, bio-mass pellet stove. 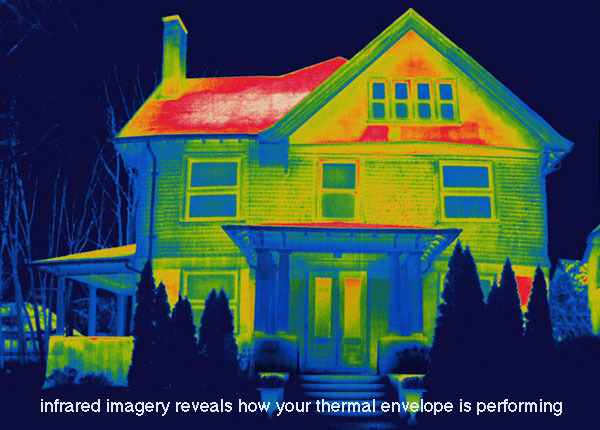 We recommend performing a Home Energy Audit as the first course of action to determine the best strategy for making your home more energy efficient - and thus more sustainable. 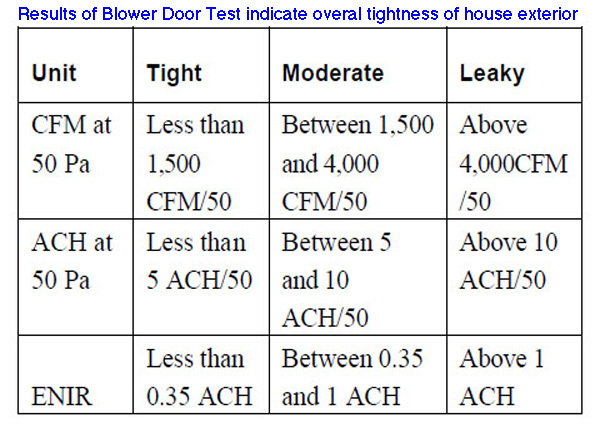 As air infiltration is usually the largest factor in heat loss, performing a blower door test is helpful to see how tight your home is. Trouble spots for leakage around foundation sill plates, exterior wall penetrations (pipes, electrical receptacles, windows and doors seals, etc.) and wall top plates in the attic can be identified and air-sealed with spray foam, sealants and caulking as the first line of action. Then additional insulation can be added to attics or walls or crawlspace floors. Only after these tasks have been completed should you address more costly investments like new heating systems, solar hot water systems or photovoltaic arrays. Unless windows are at the point of falling apart, it is usually more cost-effective to provide additional weatherstripping or to install exterior or interior storm panels rather than replacing all the windows in a home. Finding a firm to perform the audit can be accomplished either through your utility company (sometimes as a free service) or by engaging a home energy professional accredited by BPI (Building Performance Institute). 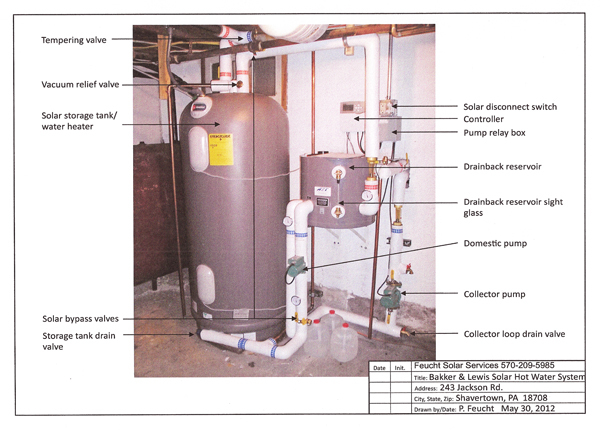 This may cost approximately $400 to $500 for an inspection and written report, but is money well spent so that you will know how to proceed with your energy conservation efforts. As the pie chart of Typical U.S. 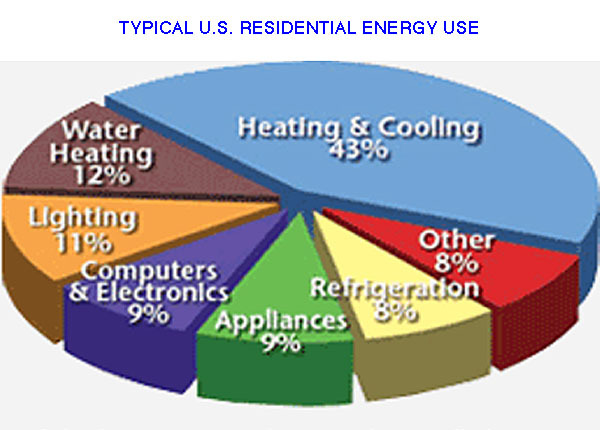 Residential Energy Use shows - space heating and cooling is the largest sector of your home energy budget. 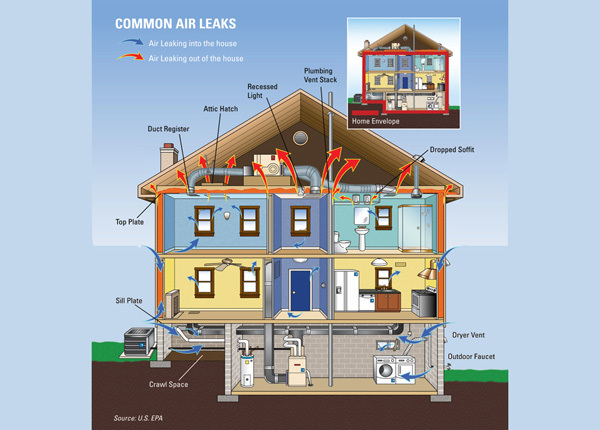 So increasing the performance of your building envlope by air sealing and adding insulation may provide the greatest return on your home improvement investment dollar. 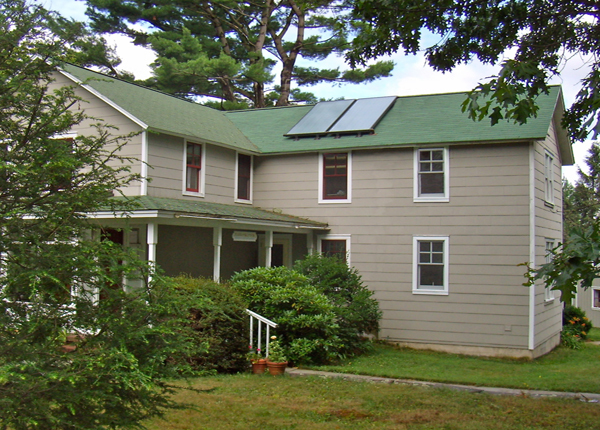 To continue reducing the amount of fossil fuels we consume in our home / office, we decided to install a solar hot water system so that we wouldn't have to operate our oil-fired hot water furnace through the summer just to make hot water. The system designed by Feucht Solar Services is a drainback system. This assures that the distilled water in the collectors never freezes but without having to charge the system with glycol-based anti-freeze. Water is pumped up to the flat plate collector panels when the collector temperature is 20 degrees warmer that the temperature at the bottom of the storage tank. 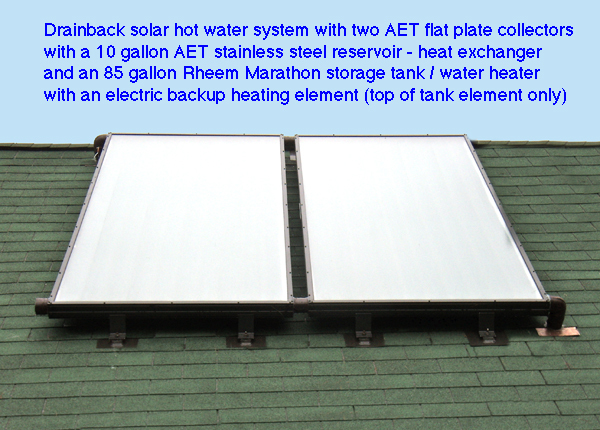 There is a backup electric heating element in the hot water storage tank, but during the summer, we can keep it turned off and get virtually free hot water. 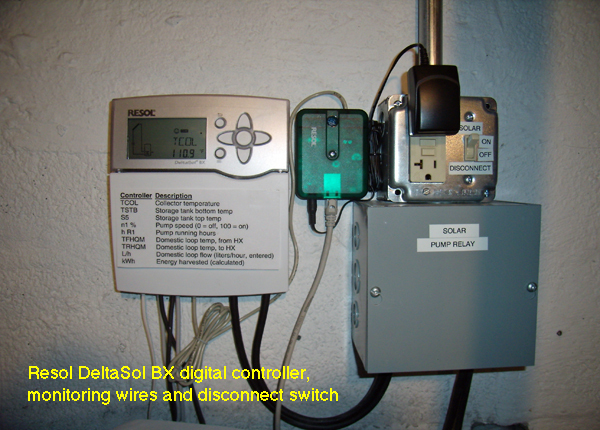 Only minimal electrical energy is used to run the circulating pumps. We'll see how the system performs through the first winter. After I had my Plug-in Prius a whille it dawned on me that getting electricity from coal-fired power plants or nuclear reactors maybe wasn't the highest plan for the environment. 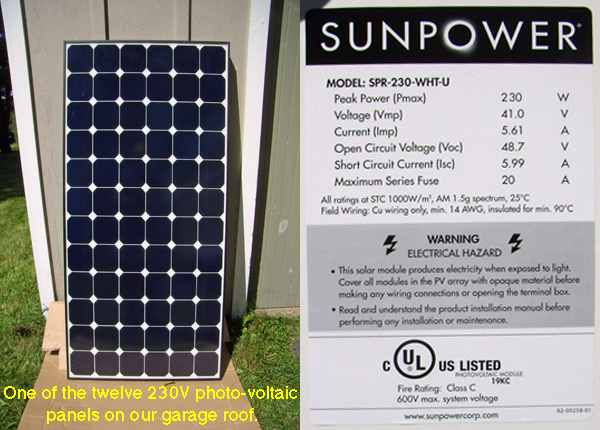 So I considered installing PV (photo-voltaic) panels on the roof of our garage, so that I could charge the batteries with solar power. I calculated that I would need 5 kWhr to get a full charge and that a 3 kW array would be able to produce roughly 8 kW on average per day. 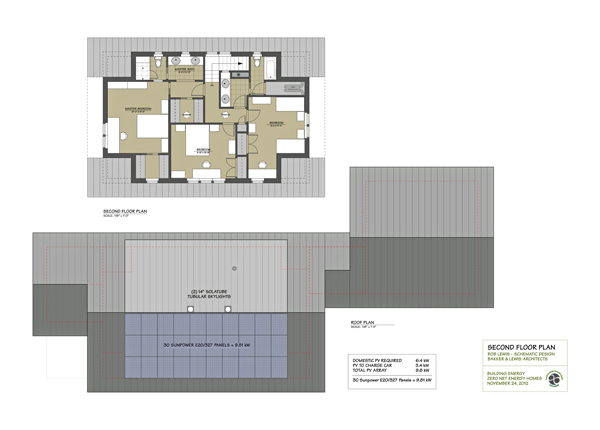 Our roof, with space for twelve 230 watt PV panels, supplies 2.76 kW. 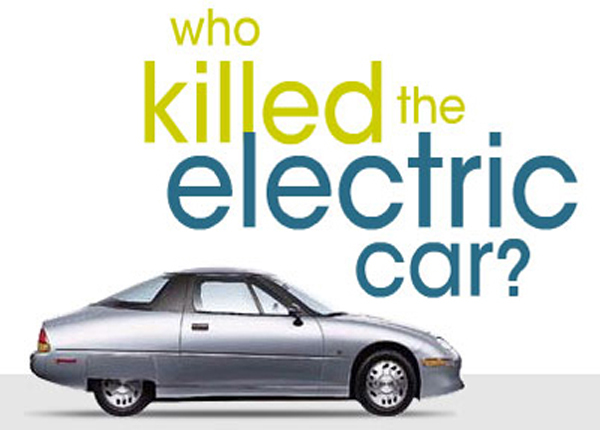 Years ago I saw the film "Who Killed The Electric Car" about the EV-1 manufactured by General Motors to meet zero-emission standards in the state of California in the 90's. As the story goes, when the auto manufacturers successfully lobbied to repeal the legislation mandating zero-emission vehicles, GM recalled all 500 of the prototype electric vehicles and had them all crushed (over strong protests from the lease-holders who loved them and didn't want to part with them) so that no one would see how great a car they really were. Great acceleration, low operating costs and negligible maintenance - what's not to like! Well they didn't use any gas, or oil, spark plugs, mufflers, oil filters, etc. - well I guess it's un-American not to consume all that stuff, you know. When I later heard that a former head of the CIA was driving a Plug-in Prius, and that he felt that it was in the interest of national security to drive fuel-efficient or electric vehicles, I decided that that might be a good course of action. 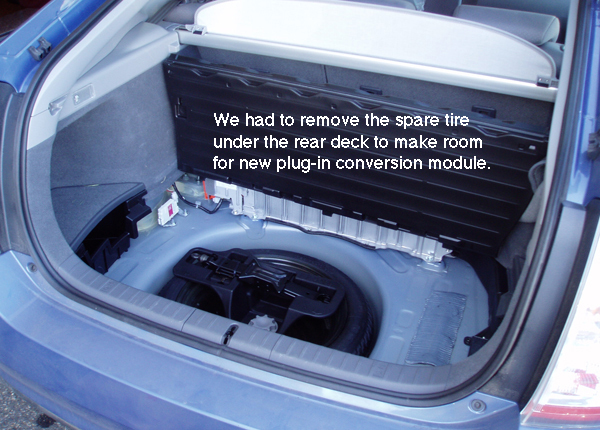 At that time Plug-ins were not commercially available but buying a standard Prius was do-able. 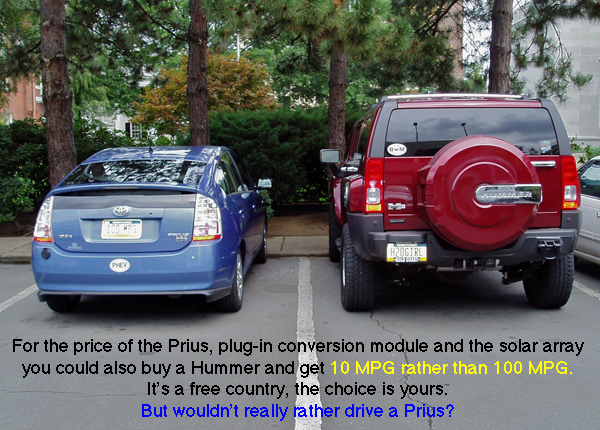 In 2008 when gas prices first topped $3.00 per gallon, we had to wait 6 weeks to get our Prius and the demand for them was so great that we had to pay $500.00 above the sticker price to buy it. That was a life-changing event for me. Now, watching the dashboard display while driving, the game changed from how quickly can I get to my destination? to - how high can I get my instantaneous MPG readout to be? 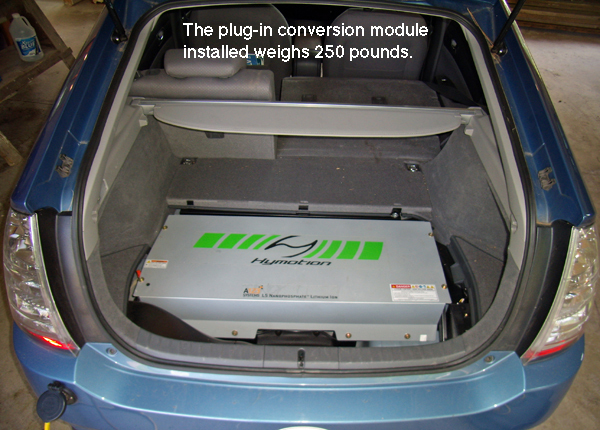 Then I learned that Hymotion-123 was manufacturing lithium ion battery plug-in conversion modules for the 2008 Prius. 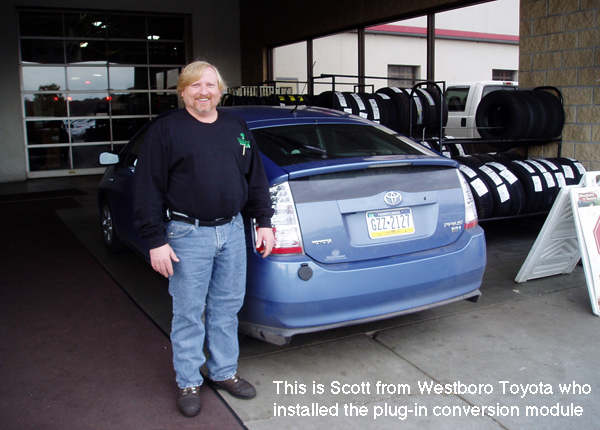 I had to drive to Westboro, MA just west of Boston to have it installed by Scott at Westboro Toyota (the nearest of the 5 Toyota dealers authorized to install the batteries). 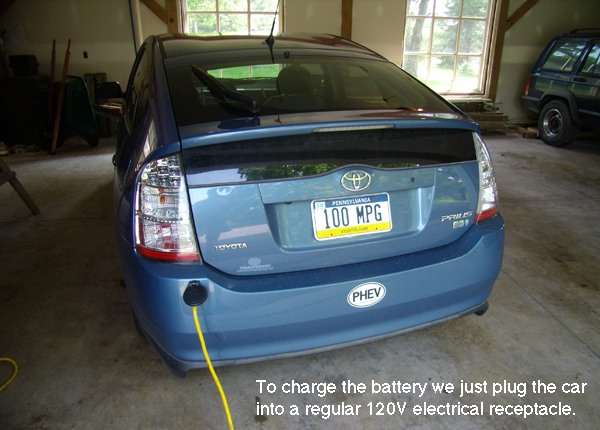 Then I became the proud owner of a PHEV (Plug-in Hybrid Electric Vehicle) capable of reaching 100 miles per gallon. It was expensive ($9,500) but, hell, I was keeping the world safe for democracy. It costs about 75¢ for a full charge (5 hours) and in spring and fall (with no AC or heating required) we can get over 100 MPG if we keep our trips in the 25 to 30 mile range and dirve the speed limit. Otherwise we can easily average 70 MPG on hills and exceeding the battery capacity. 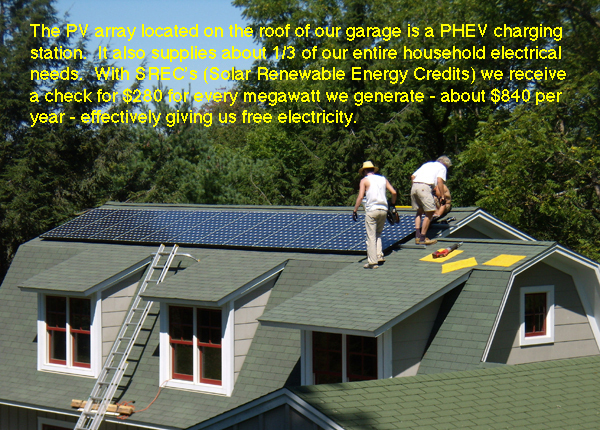 Renewable Energy Credits from Community Energy, Inc.